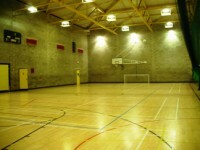 Services / facilities within the building include badmington, volleyball, basketball and 5 a side soccer. The nearest mainline station is Garrowhill. 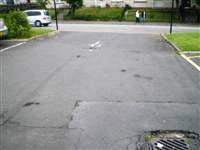 The dimensions of the designated parking bay(s) are 345cm x 466cm (11ft 4in x 15ft 3in). The nearest designated bay is 15m (16yd) from the main entrance. The furthest designated bay is 23m (25yd) from the main entrance. This information is for the entrance located on Auchinlea Road. The scooter can be used foyer only. 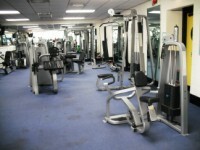 The fitness suite is located to the rear of the center. 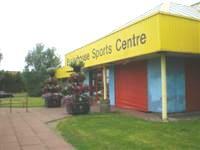 The fitness suite is 17m (19yd) from the Auchinlea Road entrance. The standard changing room is 20m (22yd) from the main entrance. 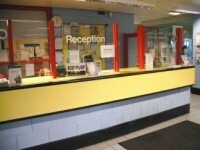 The standard changing room is 16m (17yd) from the reception desk. 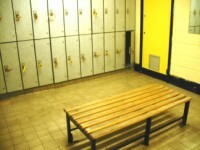 The standard changing room is 16m (17yd) from the sports hall. 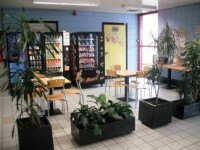 The standard changing rooms are located in the main corridor. 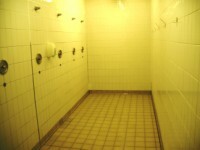 The showers are located within the changing areas. 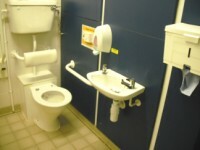 The accessible toilet is 15m (16yd) from the Auchinlea Road entrance. 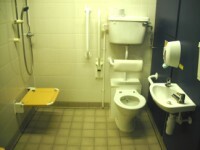 The accessible toilet is located to the left of the reception in the male changing room as you enter. Within the male changing room. 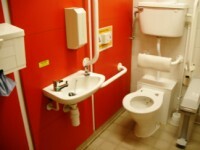 The dimensions of the accessible toilet are 164cm x 200cm (5ft 5in x 6ft 7in). It is a push button style of alarm. The towel dispenser is 115cm (3ft 9in) high. You are on Accessible Toilet (Female Changing Room). Skip to the next section. 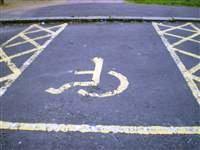 The accessible toilet is 18m (20yd) from the Auchinlea Road entrance. 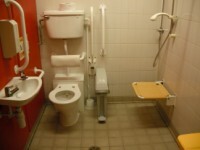 The accessible toilet is located to the left of the reception in the female changing room as you enter. Within the female changing room. The towel dispenser is 102cm (3ft 4in) high. The female toilet facilities that were surveyed are located in the female changing room. 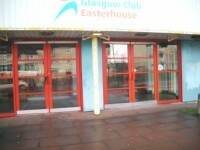 The female toilet(s) is/are approximately 18m (19yd 2ft) from the Auchinlea Road entrance. The male toilet facilities that were surveyed are located in the male changing room to the left as you enter. 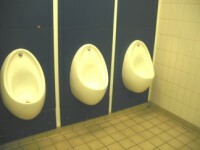 The male toilet(s) is/are approximately 15m (16yd 1ft) from the Auchinlea Road entrance. 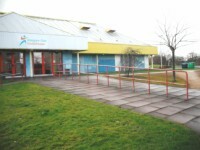 The assistance dog toilet area is located on the grass area's around the building.